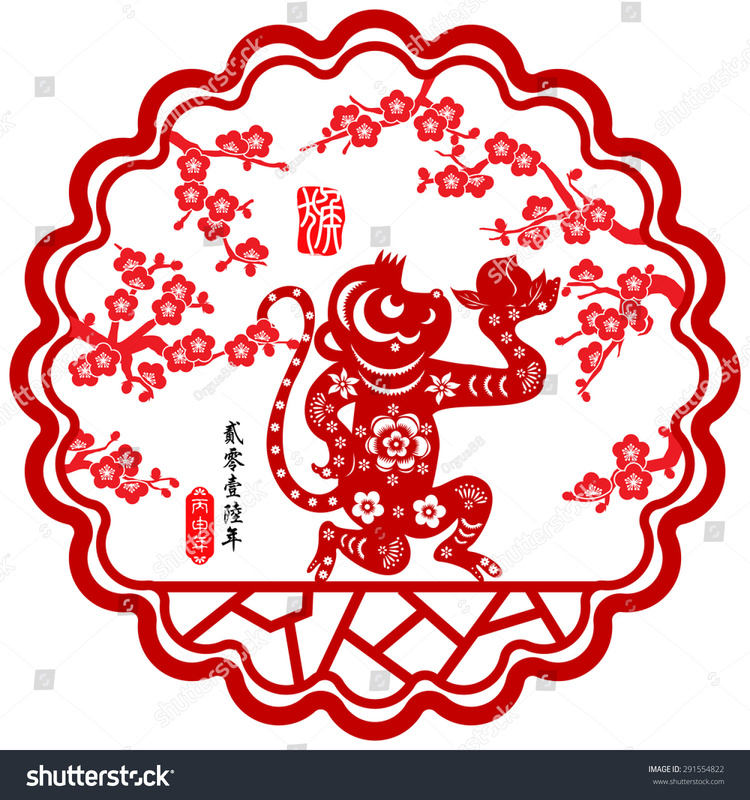 Today is the celebration of the Chinese New Year, the year of the Monkey. Chinese New Year is an important Chinese festival celebrated at the turn of the traditional lunisolar Chinese calendar. It is also known as the Spring Festival, the literal translation of the modern Chinese name. Celebrations traditionally run from the evening preceding the first day, to the Lantern Festival on the 15th day of the first calendar month. The first day of the New Year falls on the new moon between 21 January and 20 February. This year the celebrations take place on the 8th February. The general image of people in this zodiac sign is of always being smart, clever and intelligent, especially in their career and wealth. They are lively, flexible, quick-witted and versatile. In addition, their gentleness and honesty bring them an everlasting love life. Although they were born with enviable skills, they still have several shortcomings, such as an impetuous temper and a tendency to look down upon others. Julius Caesar, Leonardo da Vinci, Charles Dickens, Lord Byron, Celine Dion, Tom Hanks, Will Smith, Halle Berry, Christina Aguilera, Diana Ross, Elizabeth Taylor, Alice Walker, Michael Douglas, Owen Wilson, Daniel Craig, Mick Jagger, Bette Davis, Annie Oakley, Eleanor Roosevelt, Cuba Gooding Jr., Gisele Bundchen, Kim Cattrall, Nick Carter, Patricia Arquette, Alyson Stoner, Christina Ricci, Demi Lovato, Miley Cyrus, Nick Jonas, Selena Gomez. What does your Chinese zodiac sign mean? In Chinese astrology, the 12 animal zodiac signs each have unique characteristics. Rat: Intelligent, adaptable, quick-witted, charming, artistic, sociable. Ox: Loyal, reliable, thorough, strong, reasonable, steady, determined. Tiger: Enthusiastic, courageous, ambitious, leadership, confidence, charismatic. Rabbit: Trustworthy, empathic, modest, diplomatic, sincere, sociable, caretakers. Dragon: Lucky, flexible, eccentric, imaginative, artistic, spiritual, charismatic. Snake: Philosophical, organized, intelligent, intuitive, elegant, attentive, decisive. Horse: Adaptable, loyal, courageous, ambitious, intelligent, adventurous, strong. Sheep: Tasteful, crafty, warm, elegant, charming, intuitive, sensitive, calm. Monkey: Quick-witted, charming, lucky, adaptable, bright, versatile, lively, smart. Rooster: Honest, energetic, intelligent, flamboyant, flexible, diverse, confident. Dog: Loyal, sociable, courageous, diligent, steady, lively, adaptable, smart. Pig: Honorable, philanthropic, determined, optimistic, sincere, sociable. This entry was posted in Antistatic & Electroconductive hose, Asbestos removal, Automotive - Motor sports / F1 / Boats / Rail, Charity and Other, Chemical - food & pharmaceutical, Clinical waste, Constructive, Dust & Fume Extraction, Environmental, High Temperature Hose, HVAC - Heating, Ventilation and Air Conditioning, Materials Handling - Plastics, Rubber , Powders, Microbe & Hydrolysis-Resistant Hoses, Paper, Printing and Packaging, Plastics, Street cleaning leaf and grass collection, Uncategorized, Woodworking Industry and tagged abrasion resistant hose, air and transmission hose, ductings, Dust extraction hose, flexi ducting, Flexi ductings, flexi hose, Flexible ducting, flexible ductings, Flexible hose, flexible hoses, High temperature hose, hose, hoses, Masterflex technical hose ltd, Polyether-Polyurethane, Polyurethane ducting, polyurethane hoses, PTFE Hoses, PU DUCTING, PU hoses, PUR hose, pur hoses, PVC ducting, PVC ductings, PVC hose, PVC hoses, Silicone Ducting, suction and transport, suction and transport hose. Bookmark the permalink.